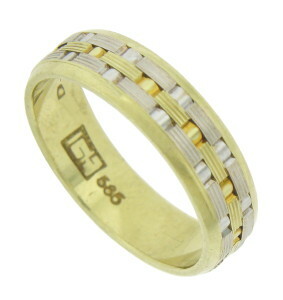 Layers of woven 14K white and yellow gold are linked together on the face of this handsome estate wedding band. The band is crafted of yellow gold and measures 5.22 mm in width. Size 6. We cannot re-size.